They say age is only a number. This is especially true for celebrities. Money has a way of bringing people into your life you wouldn’t normally find there. When you can afford it, having a hot, young wife isn’t so difficult. If you are a woman, fame may grant you a young stud in the form of a cabana boy for your personal pleasure. Today, we will unveil Hollywood couples with some rather large age gaps. Before Cage met his current wife, Alice Kim, he went through some rocky relationships. His first wife was Patricia Arquette. After only 9 months into their marriage, the couple had separated behind closed doors. They kept up appearances for the public eye for years despite being separated. After Arquette, he married Michael Jackson’s ex-wife, Lisa Marie Presley. The pair married only a year after Cage’s divorce to Arquette. Less than a year into his second marriage, Presley filed for divorce! The divorce proceedings kept them together longer than the actual marriage. A couple years after finalizing his second divorce, Alice Kim came into his life. He met the much younger Kim while dining in an LA restaurant. It didn’t take long for the couple to get married and have a child together. It seems like the third time was a charm for Cage. His marriage to Kim has been by far his longest. In 2011, Cage was arrested for charges of domestic abuse after grabbing his wife’s arm during a heated argument. Kim denied the assault and the charges against Cage were dropped. With the amount of vanity that Trump has going on in his life, it is only natural for him to trade out the old car for a newer, flashier one. His current wife, Melania Trump, is 47 while Trump is 71. The pair has been married since 2005. It’s no surprise that Melania is beautiful; she is Slovene-American. She works as a jewelry and watch designer. During her younger days, she worked as a model. It’s surprising that she is not featured more in the news these days. 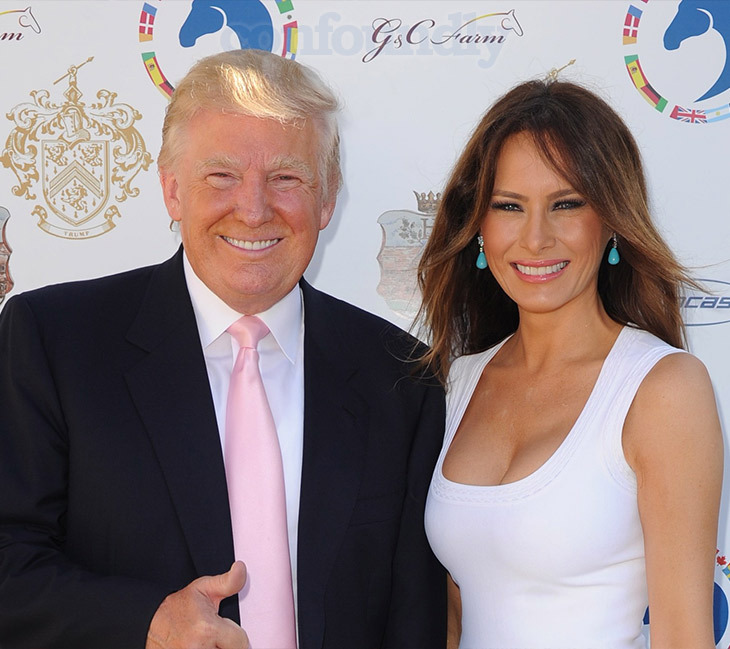 With Donald making a great run at president, she has the potential to become America’s First Lady. There’s no doubt, she has the potential to become the hottest First Lady in American history. That may make some people uncomfortable, since she is not of American descent. In 2006, she did become a naturalized American citizen. During the same year, they had their first child together, Barron William Trump.